Hyderabad, Metro Rail News: The Govt. 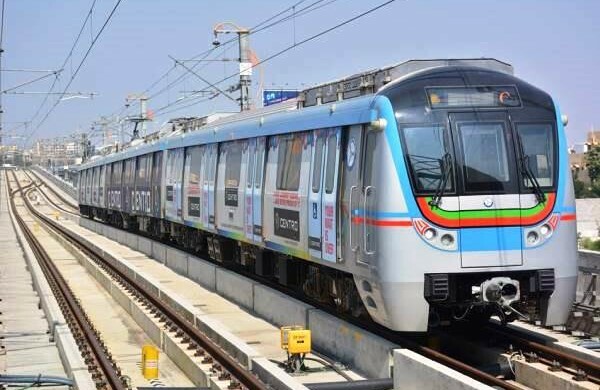 of Telangana is planning to introduce a common mobility card for the commuters who use metro train, RTC buses and other transport systems for capital city Hyderabad. On 27 March 2019, In the view of common mobility card, a meeting held in State Government Secretariat under the chairmanship of S K Joshi, Chief Secretary along with other officials namely; Arvind Kumar, Principal Secretary, Municipal Administration, Jayesh Ranjan, CEO of Department of Information Technology, Sunil Sharma, CEO and NVS Reddy, MD of Hyderabad Metro Rail, KV Rao, Chief General Manager, South Central Railway, Purushottam Naik, Executive Director, TSRTC and representatives from the cab aggregators Ola, Uber and other transporters attended the meeting. Mr. S. K. Joshi issued the direction to the concern officials to explore the possibilities of introducing a common mobility card which would be valid for travelling in Hyderabad Metro, RTC buses and other transport vehicles plying in the city. “In accordance with the recommendations of Central Government various steps are necessitated to extend the facility to the city commuters by introducing National Common Mobility Card (NCMC)” He Added. After the introduction of card, the commuters will be eligible to travel by Metro Rail, MMTS, TSRTC buses, autos and other private vehicles like Ola, Uber, etc. They do not need make payments in cash for any of mode of transport facility. Simply, they have to swipe the card for arranging payments digitally. According to the sources, this step is being taken after reviewing the use of card technology universally and after launching the National Common Mobility card by the Prime Minister Narendra Modi in last month. It was decided to finalize the plan after receiving suggestions received from the concerned departments.